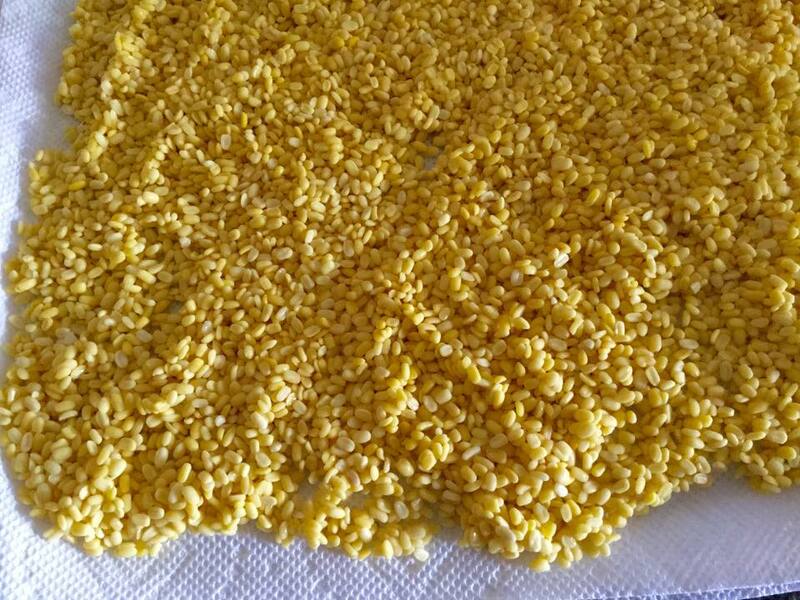 Moong Dal snack is a microwave recipe which tastes much better than store bought snacks. 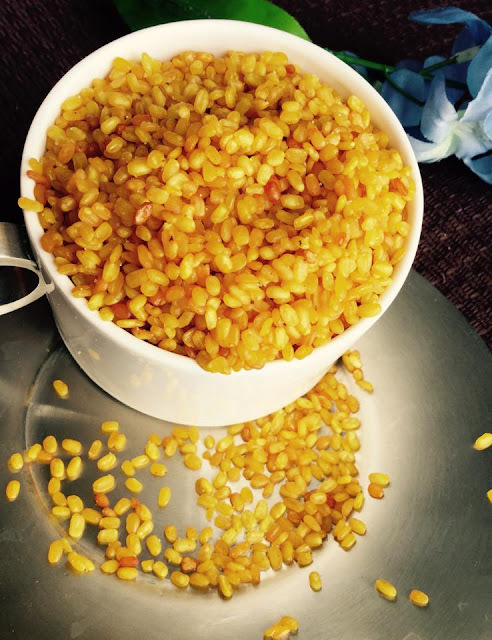 With just few ingredients, this moong dal crunchy snack is yummy!
. 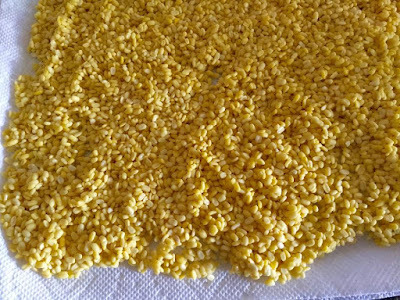 It is very important to dry the dal as much as possible. Pat the dal with a kitchen towel to dry it well. I left it open for 30 minutes. Place the dried dal in a microwave safe flat dish (I used a glass dish). Add oil and mix it well. Microwave it on high for 8-10 minutes.Keep checking after every minute. If lumps are being formed, then break and mix them. The moong dal will get crunchy after 8 minutes. (Continue cooking it in the microwave till they get crispy. Every microwave is different) That is when add salt and turmeric powder. Add chilly powder now if you want to. Mix well. The other alternative is to fry them if microwave not available. Some other exciting recipes you can make using moong dal are Moong Dal Bhajiya/Lentil Fritters and Moong Dal Sticks. Also you can try Chickpea & Edamame Crispies as an alternate to this recipe if you looking for a munch snack idea! Nice receipe! What are options if I don’t want to microwave them! Thank you so much. The other alternative is to fry them if microwave not available.